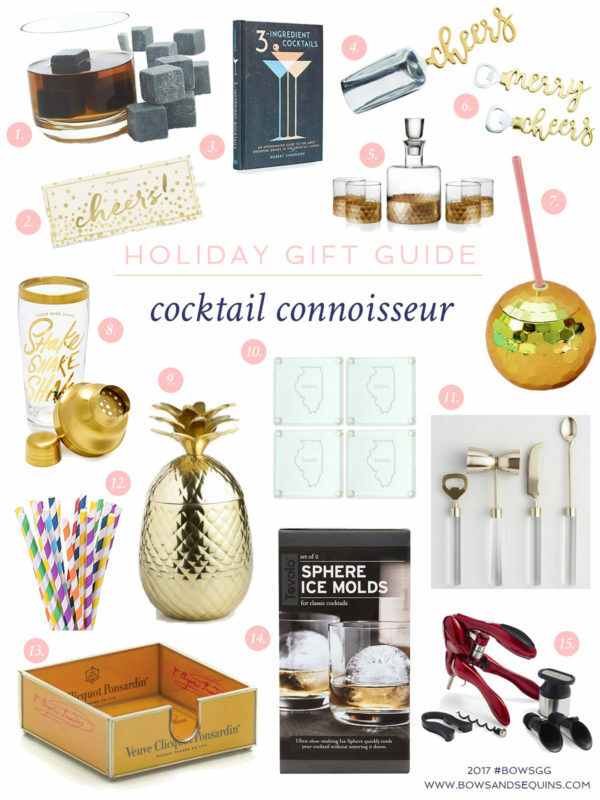 Took a little break with the gift guides over the holiday weekend, but they’re back this week! 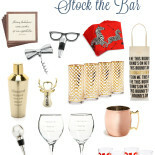 Today’s gift suggestions are for the mixologists in the making and those that appreciate a well-appointed bar cart. I rounded up a variety of items that a) I have and love, b) I’ve given myself, or c) just make for really cute gifts. Enjoy! Hands down, the most useful gift in this guide is the Rabbit Wine Opener! (I absolutely love this rose gold version!) I received mine as a housewarming gift back in 2011 and it’s moved across the US and back with me… It’s *the best* wine opener. Since then, I’ve gifted it to countless other friends and family members! Guys always love to receive truly useful items and gadget-like gifts… You can’t go wrong with ice molds, whiskey stones, or an electric corkscrew. If you’ve got an old fashioned lover on your list, this coffee table book could be a good gift, too. 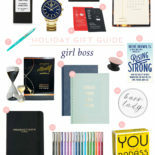 This gift guide is super lovely and helpful! I don’t think it gets any better than drinking out of disco balls! Obsessed!